As expected, Sony also has a few devices for us at this year's MWC. Among them is the Sony Xperia 1. Yep, it's a flagship and it seems the Xperia line has been repranded again. Consider this as the successor as the Sony Xperia XZ3. All that said, let's see what this new jewel of technology is all about! Sony sticks to its guns of making strictly rectangular phones with straight lines and timeless, simplistic elegance. The Xperia 1 does away with the arched back that the XZ2 and XZ3 had and returns to a simpler flat back construction. Still, the glass panel on the phone's behind curves towards its edges to ensure a softer feel in the hand. The fingerprint scanner has also been moved — it is now embedded in the power key on the right side of the device, just like it used to be with the old Xperia Z phones. You will notice that the handset appears to be really, really tall. That's because the 6.5-inch display on the front has an aspect ratio of 21:9, making it an ultra-wide screen able to fit cinema-ready movies. It's an OLED display, too, with a mind-boggling 4K (1,644 x 3,840) resolution for an extra-crisp image. The phone also offers 10 bit tonal gradation for finer representation of different colors. Sony has always provided a stereo sound experience on its flagship phones and it does so with the Xperia 1 as well. The company developed a "multi-dimensional" sound in partnership with Dolby Atmos for this device and claims that it'll elevate your mobile media experience. Of course, we can't wait to test it and see how it holds up. Yes, the flagship Xperia line now has a triple camera. The three options you are provided with are super-wide-angle, regular, and telephoto lens for your various shooting needs. Sony boasts about its new BIONZ X algorithm, which allows the Xperia 1's Eye camera to focus super-accurately, super-fast, and even keep said focus as you take a burst photo of 10 frames per second. All three sensors have a 12 MP resolution, with its main camera having 1.4 μm large pixels and a lens aperture is F1.6. On paper, this all allows for more light to enter the sensor, making for better low-light photography. Aspiring cinematographers can also have some fun with the new Cinema Pro feature, which sports color management presets and allows you to shoot in 4K HDR at FPS in the wide 21:9 format. The shot is steadied through a hybrid system of optical and digital stabilization. On the inside, the Sony Xperia 1 is on par with the other big-hitter 2019 flagships — a Qualcomm Snapdragon 855 hums inside, offering the fastest processor currently available for Android handsets, paired with 6 GB of RAM for multitasking overhead. It sports a 3,330 mAh battery, which might have sounded like something big a year or two ago, but now seems to be on the tiny side. Especially since Samsung and LG seem to have made 3,500 mAh the norm. Still, we'll see how it fares in a battery life test further down the road. Of course, the Xperia 1 comes with Android 9 Pie on board and a light Sony-made reskin on top with some extra features sprinkled over. Side sense comes back — a small "drawer" sits nestled at the edge of your screen and you can pull it up at any time. This can house favorite apps or toggles as you please. It will also have a shortcut for the split screen feature — something that'll work well on the super-tall 21:9 screen, allowing for each app to have more room. 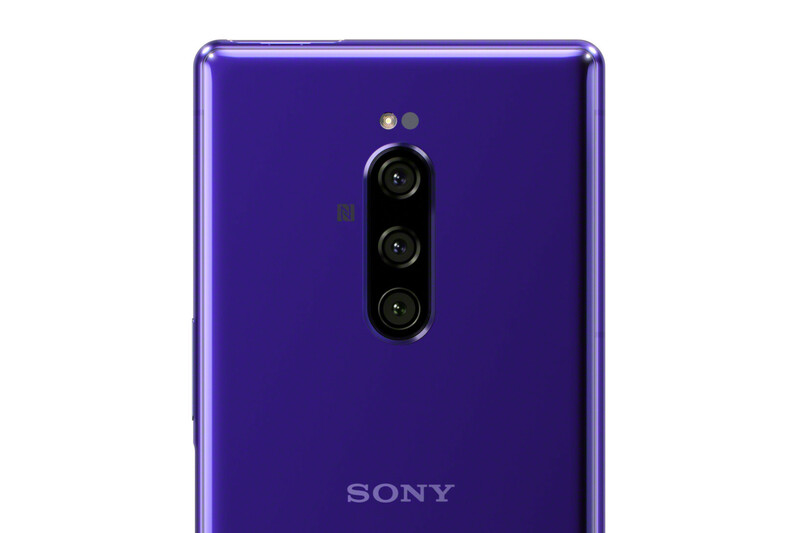 The Sony Xperia 1 will be released in the late Spring of 2019 and will be available in two colors — Purple and Black. Unfortunately, Sony did not reveal any pricing details as of right now. If the previous flagship is anything to go by, then we are looking at a pretty hefty price. The Xperia XZ3 launched with a $899 price-tag. 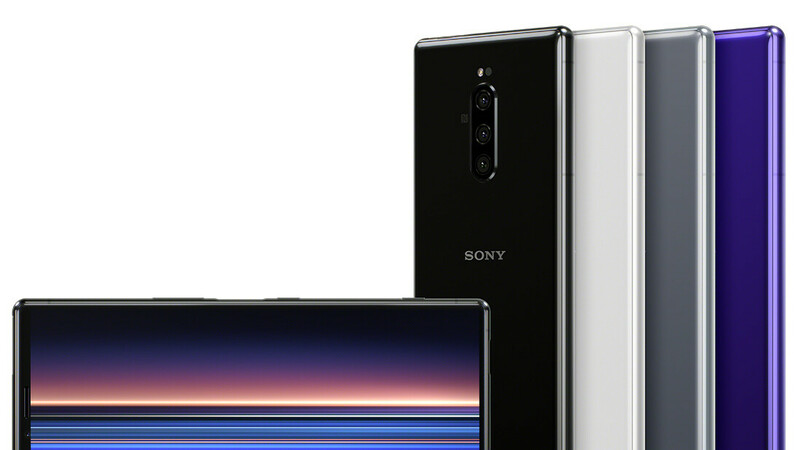 Looking at the amount of technology Sony crammed into the new Xperia 1, it seems like the company won't be willing to back down from that price easily. Optical zoom: 2x; Aperture size: F2.4; Focal Length: 52 mm; Sensor size: 1/3.4"
Nice phone. Colors great too. Disappointed in battery size and power button separate from fps (dumb). Other than that, I absolutely love this aspect ratio, for my uses. Cinema aspect viewing and split screen, landscape user. Which part of "The fingerprint scanner has also been moved — it is now embedded in the power key on the right side of the device", didn't you get? That's incorrect info by PA. Go look at a youtube hands on. The fps is not a pressable button/power the way it is like on a XZ premium. There's a separate wake/power button just below the fps. 3330 mAh battery for such big phone??? I hope they won't say that this is an "all-day battery" phone. With such big display I believe you have to charge it twice per day. And don't forget: it is a tall 4k display with puny battery with an expected $850-900 price tag. Sony is pulling a joke on people. I love it, looks very unique with subtle hints of Sony dna. I imagine this is the follow up to the xz2 premium. I wonder why samsung hasn't jumped onto the 4k oled route yet?. "I wonder why samsung hasn't jumped onto the 4k oled route yet?" You like charging your phone every 3 hours? You don't want to be productive in your work and be confident away from plugs all day? Until real battery tech is developed, I don't want to be a wall plug slave for my phone. We're still in li-ion batteries, no need for 4k phones right now. The xz2 premium possess a 3450mah battery with 4k display and has respectable battery life (7.20 hrs on phone Arena, 77hrs on gsmarena) therefore its not as bad as you would assume. All samsung needs to do is put in a larger battery (4500-5000 min) and perhaps keep 4k resolution when only viewing photos or vids. So this is Sony's 2019 innovation, to make the phones unusably tall ? Their managers must really hate their company. Which ones have a 3.5mm jack?